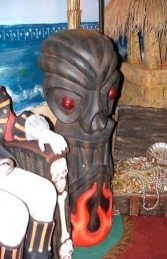 Another amazing pirate prop offered by the Jolly Roger. 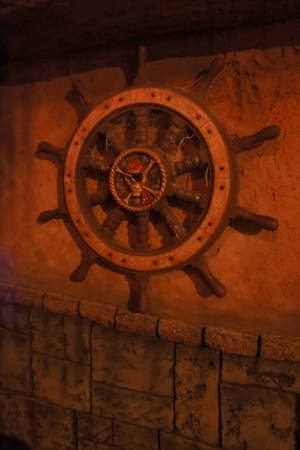 A very authentic Pirate ships wheel. This ships wheel is a great pirate prop to capture the eye of any swashbuckling pirate. The wheel has a detailed pirate skull and cross bone emblem. The Ships wheel can be wall mouted simply with a couple of screws, or could be left on the floor as an old piece of wood! 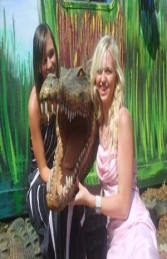 As you can see in the third picture it looks great on location with a simple bit of cobweb it really can stand out.